Her terraces benefit from the persistent mistral, whose regular gusts purify the vines of parasites and mildew throughout the entire year. The galets roulés in the soil provide good drainage and insulation, preventing the roots from getting too hot or too cold at any given time. In addition, Marine achieved organic certification in her vineyards in 2000 and biodynamic certification in 2011. Her soils are alive with microbiotic activity, lending a hand in both the long-term sustainability of her land and in the mineral expression of her wines. Since the vines naturally achieve such low yields, Marine seeks a gentle tannin extraction, too, an important step that provides balance to the final blends. 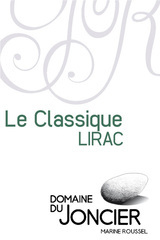 She makes impressive Lirac Rouges.